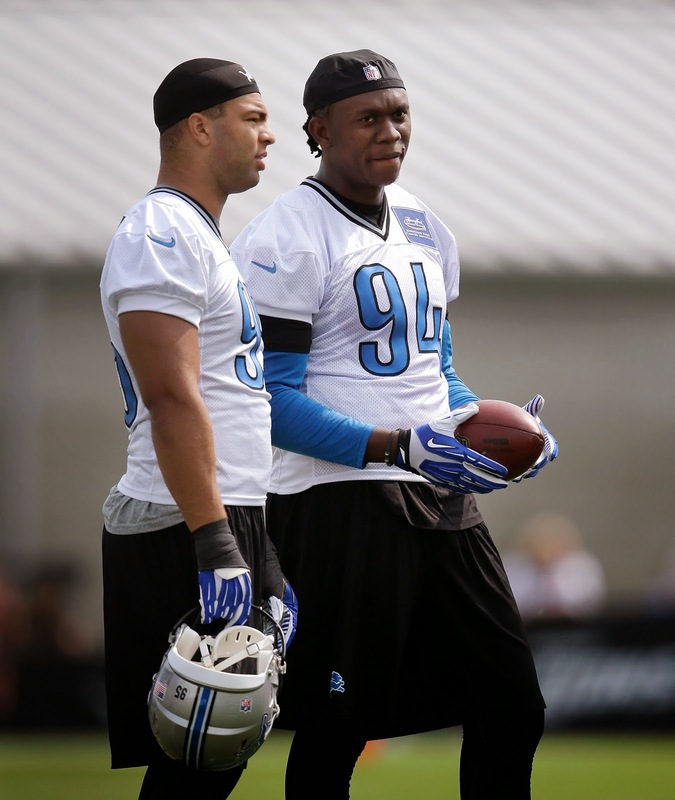 Defensive end Ziggy Ansah has been taken off the physically unable to perform list. The Lions announced the move late Tuesday afternoon. Ansah, who is recovering from shoulder surgery in February, will now be allowed to participate in training camp. Since the start of camp he has been on the field, watching and soaking it all in, but unable to practice with his teammates. Quite often he would work with trainers on the sidelines. The Lions play at the Oakland Raiders on Friday at 10 p.m.
It’s unlikely Ansah will play because he will only have two practices (Tuesday night and Wednesday) prior to the game. He’ll likely get a chance to play in the final two preseason games. With Ansah out, Devin Taylor has been getting work with the starters.